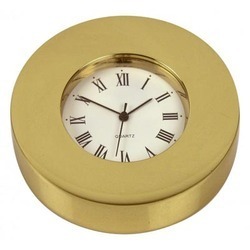 Owing to our expertise in the domain we are able to bring forth this exquisite Mini Clock ange to our customers. Customers can chose from a comprehensive variety of designs, shapes and sizes as per the occasion. Manufactured using quality metal and wood pieces, this range is appreciated for the rust proof sheen that lasts for a life time. Give your boring wall a traditional look with this traditonal wall clock. This wall clock will definitely accentuaute the beauty of your home. 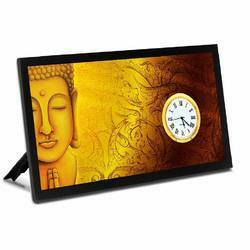 With enriched market experience, we have been able to offer a wide spectrum of Round Wall Clock. Desktop mini smiley clock is a unique and smart clock which make the oddice desk looks attractive and decent. Also can be used as a corporate gifting to the staff.